If you are looking for something family-friendly, a break from the weather, or just the chance to learn something new, look no further than the North Carolina Aquarium on Roanoke Island. Insiders know that this is the best place to spend an hour or two learning about the marine life, ecosystems, reptiles and mammals that inhabit our beautiful coast! Read on to get more great information and tips that will help you make the most of your visit. Admission is FREE for all on Martin Luther King, Jr. Day in January and Veterans Day, November 11. As of 2019, a Family Membership is only $89. Depending on how many children you have, a membership might make sense, financially. If you plan to participate in Aquarium programs, dig for shark teeth in the fossil pit, or visit the gift shop, allow more time. ...but there is a vendor onsite should you need to purchase a snack. Sippy cups for small children containing water should be fine to bring in. Bring the whole family! There is also plenty of parking, but if you are visiting at high season you may have to park further out. Seven Rivers highlights the cultural history and animals, including amphibians, snakes and juvenile alligators, tied to the waters of the Albemarle. Wild Wetlands features river otters, alligators and turtles. The Sea Turtle Assistance and Rehabilitation (STAR) Center and interactive Sea Turtle Rescue exhibit will teach you about sea turtle conservation. Sea Treasures is a walk through a sunken ship, surrounding you in the marine life living off our coast. Sea Senses lets you get up-close views of stingrays and invertebrates. 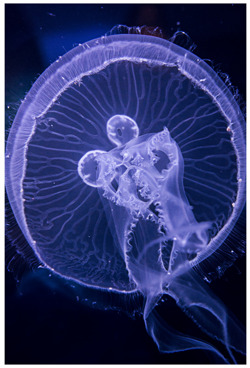 Delicate Drifters will have you wide-eyed at the ethereal world of sea jellies. Ironclad Sanctuary allows you to experience the incredible history of the U.S.S. Monitor, built during the Civil War. The Graveyard of the Atlantic is a huge tank full of beautiful sharks and other fish swimming round and round. The Gulf Stream Exhibit is an interactive exploration of saltwater habitats. The Soundside Pier is a great spot to explore the outdoors around the Aquarium, get some fresh air and look for shark teeth! With a little planning ahead you can catch an educational program, see a live shark feeding, watch a Scuba Diver in the shark tank or see an alligator up close and personal. Shipwreck Stories - Educators answer your questions about Aquarium animals and explain why diving with sharks in our Graveyard of the Atlantic exhibit is not such a scary job. Animal Feedings - Watch animals being fed in a particular exhibit as an educator describes how we keep them all happy and healthy. Educator Programs - Learn about amazing animal adaptations during a fun game or educational lecture. If you have a budding Marine Biologist in your crew, or you just want a more immersive experience during your vacation, consider one of these tours or adventures! Choices include Swimming With Sharks, a Nautical Wreath Craft, Behind the Scenes Tour, Happy Otter Hour, Aquarist For the Day, Breakfast With the Rays, Aqua Tots, What's the Catch (fishing), Paddleboarding... the list goes on and on!! Beautiful surroundings and a wonderful collection of local sea life. Lots to see and much you can learn from a visit to this aquarium. Many people that work here are highly educated in marine life studies and will be able to answer your questions. Friendly staff too. Lots of parking. The Aquarium has a wonderful floor plan. The exhibits are beautifully organized and it's easy to look at the animals. Our favorite was the seahorses exhibit. They have a huge tank with one of the largest sharks I have seen. You could spend time at the touching pools and there are 3 pools. The staff is friendly and knowledgeable. The N.E.S.T area to save the sea turtles was a great experience. Great place to visit on a rainy day! We were able to visit the outdoor areas during a lull in the storm, but most of the time was spent indoors viewing the exhibits. The price is reasonable for regular admission. There are add-ons that you can purchase for a more "behind the scenes" tour if you're into that type of thing. The exhibits are laid out so you're constantly moving along, but it is very easy to see everything. There are some areas that have interactive activities and touch screen videos to keep things interesting. The STAR area where they care for injured sea turtles is great and the caregivers share lots of information about the animals in their care. There's a touching station and sting ray tank - make sure you catch a feeding! We enjoyed the educational video in the theater also. This place is a gem. Along with the usual aquarium exhibits, they display their exhibits in fun and unique ways. They have a turtle rescue center where you can see the turtles resting in their tanks and talk to a staff member about their recovery. They also have an area where you can perform diagnostic tests and provide treatment for a programmed plastic turtle. My 8 year old niece had a blast. You can walk through a sunken ship and see fish swimming around you. It’s a fun way to see and learn about river and ocean animals at a reasonable price. Jennette's Pier is much more than just an awesome fishing spot! The Pier falls under the realm of the North Carolina Aquariums. It features large, fish-filled aquariums, interactive exhibits, a pier shop, bait, license and rod rentals, not to mention great bathrooms and parking. Check their website for current hours and pricing. If you are an Aquarium member, your admission is free. Your Great Escapes OBX vacation rental is the perfect launching pad for a visit to the Aquarium. While you are visiting Manteo, make a day of it and knock a few more items off your vacation bucket list. The Island Farm, an interactive 1800's farm, is nearby and a great place to explore. The Roanoke Island Festival Park is a hands-on historic site with a kid-friendly museum, 16th century replica ship & American Indian town. There are several great restaurants along Highway 64 that will hit the spot after your big day out. Try the Hungry Pelican for a crowd-pleasing menu (yep, they have peanut butter and jelly) and don't miss the Olde Towne Creamery for delicious ice cream. Don't hesitate to contact your team here at Great Escapes OBX Vacation Rentals. Once you get your rental home in place, you can focus on the fun stuff ahead. Want more fun stuff to do on the OBX?